Adding a map of the Palestinian Refugee Camps with information about each camp. Since 2002 Zochrot has been promoting Israeli Jewish society's acknowledgement of, and accountability for, the ongoing injustices of the Nakba and the reconceptualization of Return as the imperative redress of the Nakba, and a chance for a better life for the entire country's inhabitants. Zochrot challenges the Israeli Jewish public's preconceptions, and promotes awareness, political, and cultural change within it to create the conditions for the Return of Palestinian Refugees and a shared life in this country. 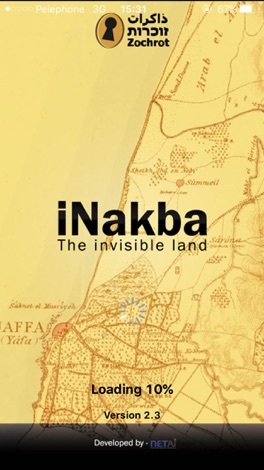 iNakba is a trilingual mobile app (Arabic, Hebrew and English) based on GPS Navigation technology. 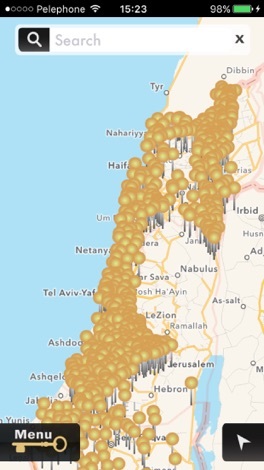 This app allows users to locate and learn about Palestinian localities destroyed during, and as a result of, the Nakba since 1948. 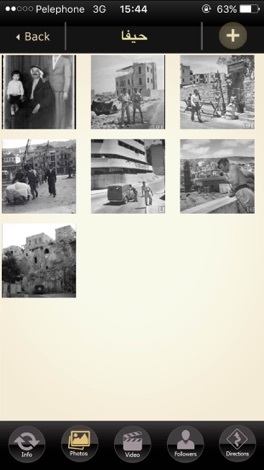 The application provides coordinates and maps of Palestinian localities that were completely ruined, destroyed, obliterated after their capture, partially demolished, or remained standing but were depopulated and their residents expelled. The app also provides historical information and includes video clips and photographs of these localities. The app is interactive; it allows users to add pictures of the destroyed localities, as well as share their comments and follow updates about selected localities. Not all the destroyed or depopulated localities are represented by video clips or photographs. Some of the coordinates provided may be inaccurate or incomplete. Zochrot is constantly augmenting the information about all the demolished localities, and we invite users to help us by adding photographs, video clips, updates, and/or corrections. Please send comments and audio-visual corrections and additions to: inakba@zochrot.org, or via the app’s “Contact Us” link. Scrappy Bird - Play the Free Fun Flying Cartoon Birds Kids App Game! The amazing new Scrappy Bird is now available on your iPhone and iPad! - Tap on your device to make the bird fly - Avoid the obstacles - Collect as many stars as you can - Beat your friends high score Have Fun! Are you tired of flappy things ? If the answer is Yes -))) Smash`em!!! Smash`em ALL -))) Lots of fun, action and good music.